colleges, private organizations, Special events of all kinds. In 1998 a new Titanic Exhibit in Orlando was created and someone was needed to play the part of Captain E.J. Smith. Lowell Lytle of St. Petersburg, Florida fit the physical description perfectly and having been an actor all his life, Lowell had that rare ability to convey the authority and stature of just such an important figure. In addition Lowell had actually built two sailing ships. 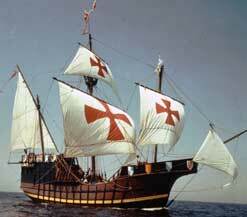 A reproduction of the Santa Maria and a lavishly decorated reproducion of a 16th century galleon. Better qualifications to play the part of Captain Smith of the Titanic were not to be found anywhere. 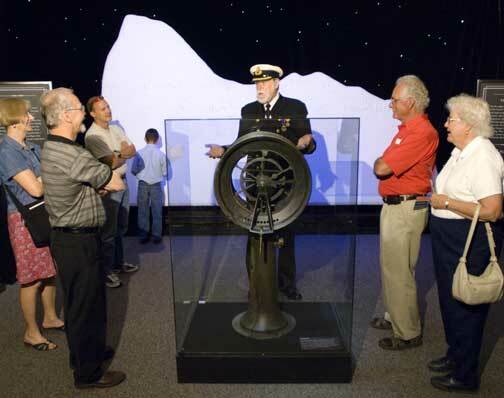 Since that time Mr. Lytle has become know around the country and world as "Captain Smith" lecturing at numerous Titanic exhibits from Chicago to California with extended tours at the Titanic exhibit in Branson, Missouri. 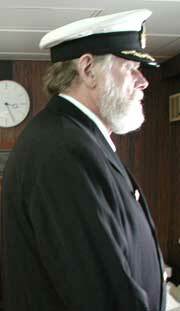 In China, his presence towered above everyone as he introduced the Titanic exhibit there in 2002 for RMS Titanic, Inc.
Lowell has become so familiar with the stories of Titanic that he is now considered by many to be more than just an entertainer at such events. Lowell seems to become Captain Smith as he imparts humor, emotion, inspiration, and history into his every lecture. In 2000 Lowell was invited as part of a Titanic expedition to go down the 2½ miles to the ocean floor,where he spent eleven hours in a Russian deep sea submersible viewing the historic ship and its debris field. His experience and lectures give the audience a feeling of what it is like to be one of the very few people on the entire planet to have actually seen the Titanic. As Lowell says, "You cannot view the Titanic for that many hours with out being emotionally effected." His well planned and thoughful talks bring his personal experiences to the public in a way that no one else has yet achieved. 2017 – Present: Performing as Capt E.J. Smith of the Titanic in 31 exhibits in the United States, Canada and China. 1997 – 2005: Perform as a pirate and salesman at the largest Renaissance Fares in the U.S.
1991 – Present: Acted in movies, TV and stage plays. Designed shops, have recorded voice-overs. Lowell is an artist, painting murals, designing and creating artful lobbies in apartment buildings, designed special effects in churches and created life size dinosaurs for a record sales company. He is a sculptor and musician. In August 2000 dove to the actual Titanic and was directly responsible for finding and recovering the emergency telegraph that gave the signal from the bridge to the engine room to put the Titanic in reverse. 1967 – 1991 Created a musical production company called “Young American Showcase, Inc”. Lowell was the President and CEO for those years producing High School and Jr High School assembly shows and night concerts. Wrote the shows, designed and built all major props and taught audience communication for eight music groups. These groups performed in all the U.S. States, Canada, Australia and Hawaii. During this same time Lowell Lytle built two ocean going square rigged ships. The SANTA MARIA finished in 1976, lead the class C ships in the Tall Ship Parade in New York. 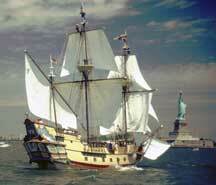 The LADY BARBARA was built and finished in 1986 and lead the class C ships at the unveiling of the Statue of Liberty. She was sold and is now in the Grand Cayman Islands. 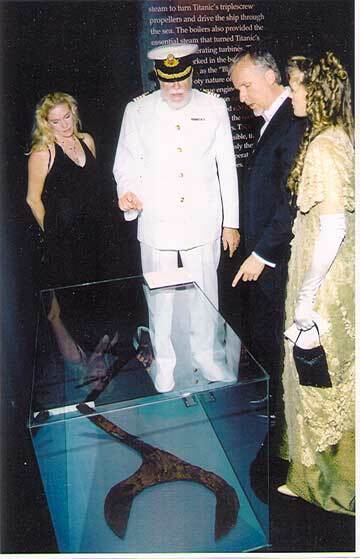 The Big Wrench - This is one of the artifacts that Lowell Lytle found on his dive to Titanic in 2000. Standing beside Mr. Lytle is Mr. and Mrs. James Cameron in Oklahoma City, Oklahoma. 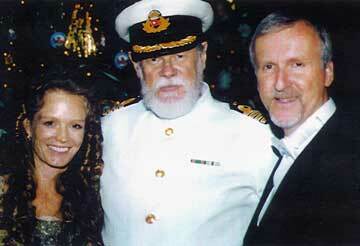 Mr. and Mrs. James Cameron with Lowell Lytle. 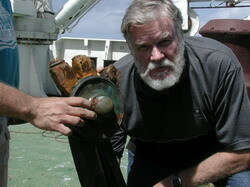 Lowell Lytle with the remains of the ships wheel from Titanic shortly after it was brought to the surface in August 2000. Lowell Lytle with Gladys Millvina Dean, the last remaining survivior of Titanic. Photographed at her home in Southampton, England in May 2006. 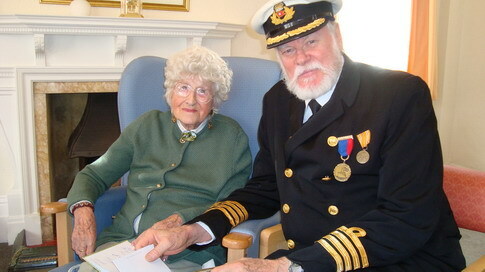 Lowell Lytle again with Millvina Dean at Southhampton, England in February 2009. 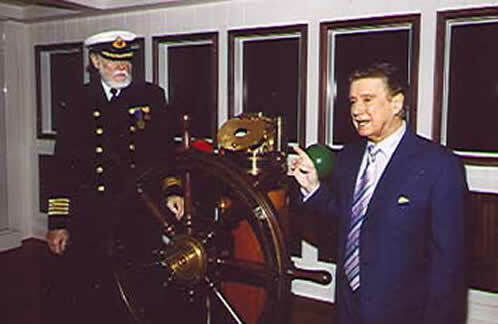 TV host Regis Philbin with Lowell Lyle in Branson, MO.